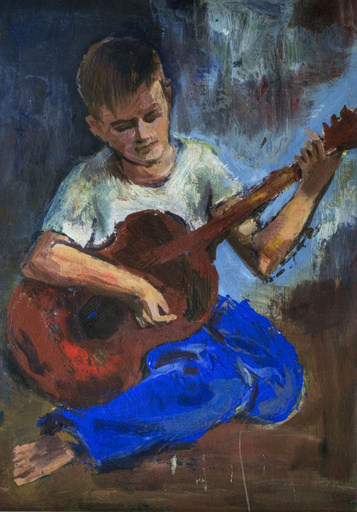 Original oil on canvas of a young Tom Billotto painted by Tom’s dad, Anthony Billotto, circa 1966. Tom Billotto has passionately pursued a full-time music career for more than 40 years, averaging 150-200 performances per year in: restaurants; concerts; festivals; country clubs; private, corporate and fundraising events; wine rooms/dinners/tastings; weddings; radio and TV. Tom has performed with Grammy Award-winning saxophonist Branford Marsalis, Hugh Taylor (James’ brother) and Telly Award-winning and Grammy-and-Emmy awards-nominated percussionist Jim Brock. Please click through these pages to meet Tom Billotto and his music.